This health condition occurs when cholesterol builds up in the blood vessels. The symptoms of the ailment are as follows. There are some early warning symptoms that one may sense. One of the most common is discomfort in the chest. The sensation varies per patient. Some can feel it being squeezed, burning or something is being pressed against it. The other major symptom is numbness or pins and needles in the hands or feet. The numbing sensation spreads to the feet, shoulders, arms and neck. This can last for several minutes. Other signs are vomiting, fainting spells and nausea. There is sweating and breathing is very difficult. The severity of the pain also depends on other health complications. All of these symptoms need to be explained to the doctor. A physical examination will be needed to assess the state of the patient. A complete review of the patient’s medical history is also in order. The blood pressure will be checked. Tests that evaluate the cholesterol level will be done. The sugar level will almost certainly be checked if the patient has diabetes. 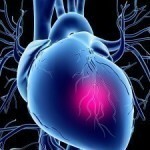 Other diagnostic procedures include a CT scan, echocardiography and an MRI. Coronary angiography, nuclear ventriculography and several blood examinations will be done. The blood tests will include serum myogoblin, CPK and troponin 1. An ECG is also mandatory during diagnosis and examination. Emergency cases necessitate an operation. 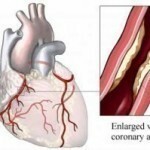 An angioplasty is the most preferred procedure. The arteries are opened up so any blockage can be removed. This needs to be performed less than 12 hours after a major attack to be successful. 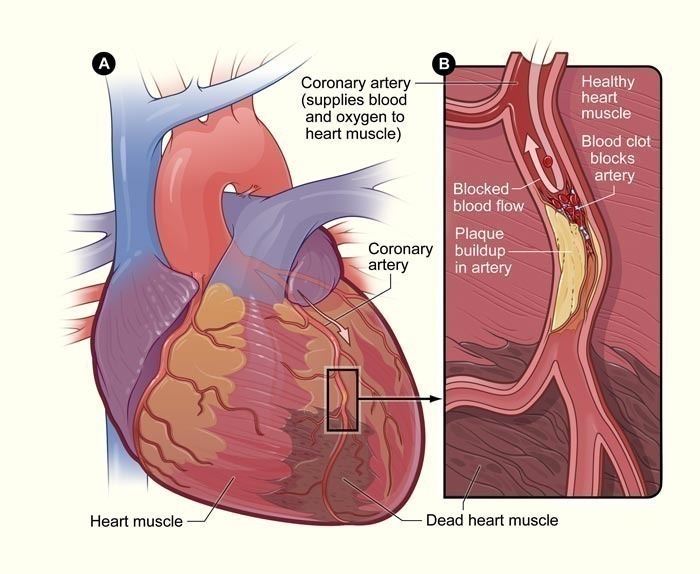 A coronary stent is used to widen a coronary artery. This is set in place after the angioplasty. Numerous drugs can be prescribed to eliminate pain and blood clotting. These clot removing agents are first administered via IV. These medications are not given to pregnant women or patients who have suffered a stroke anytime during the past couple of years. medications are used to keep blood clots from appearing in the arteries. Blood thinners are also given to patients. The patient will also take aspirin and clopidogrel. Other medications that may be prescribed are beta blockers, ramipril, enalapril and lipid lowering drugs. These include rosuvastatin, pravastatin and lovastatin. There are many preventive steps that can be taken. First and foremost is a healthy diet. Vegetables like spinach, cabbage etc need to be included in the diet. Fish should be baked rather than fried. In fact, fried foods should be consumed sparingly. Junk food and soft drinks must also be avoided. The other preventive step has to do with regular exercise. There are several workout routines you can try. The important thing is to do it on a consistent basis. 30 minutes workout four times a week is recommended. 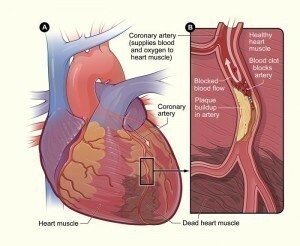 A heart blockage can be a potentially life threatening condition. For this reason, knowledge about the symptoms and causes are vital.